This example shows how to overplot HEK outlines on SunPy maps. The coronal hole was detected at a certain time. To plot it on a map, we need to rotate it to the map observation time. 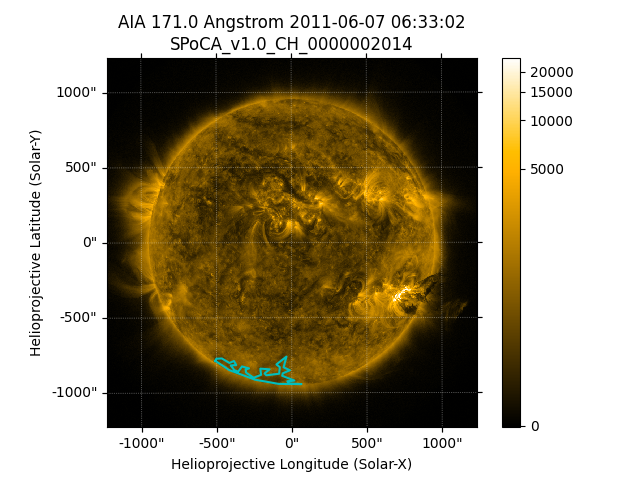 Now let’s plot the rotated coronal hole boundary on the AIA map, and fill it with some matplotlib hatching.